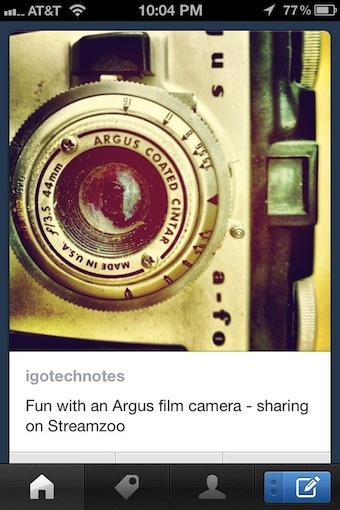 When sharing your iPhone images, why not add a bit of text and start your own blog? Tumblr is a popular free blog service that I had one of my first technology blogs on. The service is quick to set up and easy to update directly from the iPhone. 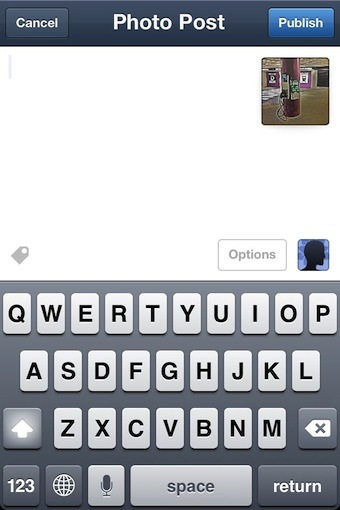 The free app, to post from the iPhone to the free service has been handy, but not that intuitive for the new user. Happy news today with the release of Tumblr 3.0. Still free, but now much more user friendly. 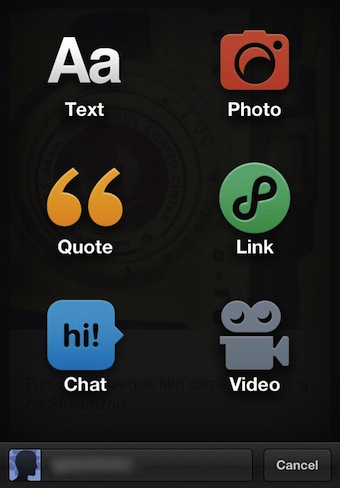 Launching the app takes you right to the different types of posts you can create, all with the iPhone while on the go. Photos are no long reduced by Tumblr, the 3.0 version of the iPhone app will post high resolution photos for maximum visitor impact. After you choose an image, add post content text. The ‘Options’ button lets you choose the blog to post to, handy if you have multiple Tumblr blogs. You can also choose to hold the post for more edits before pushing to your site. Interesting is that you can also customize the URL the post will appear within your site… tuning to meet the needs of the search engine. After you post, your taken to the blog in ‘mobile’ view. Tumblr does offer a few extra options across the bottom of the screen to view and search for Tags on posts/images on other people’s Blogs. And, if you want to follow other peoples blogs or see who is following yours, access that information from the little ‘profile’ looking button. The bottom right corner is your ‘new’ post button.